If you have found injured or orphaned wildlife, please call our Wildlife Referral Line at 757-263-4762. Please call the Referral Line before bringing any wildlife to the VBSPCA. The Virginia Beach SPCA is the only animal shelter in the state of Virginia licensed to rehabilitate wildlife. 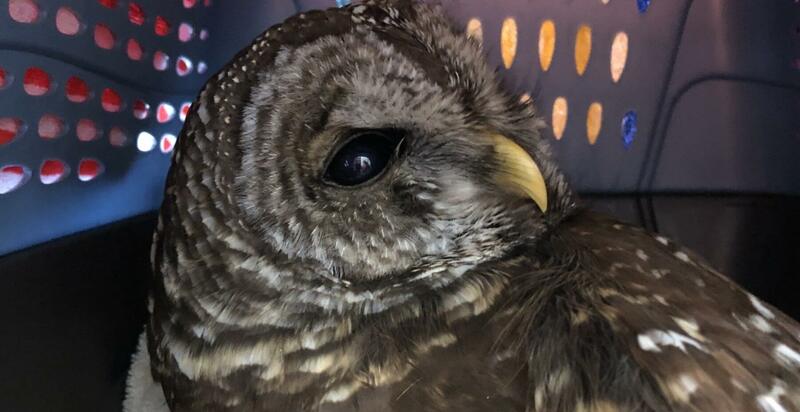 Our Wildlife Program is an all-volunteer organization dedicated to providing experienced care to orphaned and injured wildlife throughout Hampton Roads, which includes our Wildlife Referral Line. The VBSPCA Wildlife Referral Line is manned exclusively by volunteers 24 hours a day. Our knowledgeable volunteers assist callers by assessing their given wildlife situation, providing advice, and/or directing callers to the nearest location that’s available to receive wildlife. If you have found orphaned or injured wildlife, please contact our message line for further instructions. Due to the volume of calls received, it may be 2-4 hours before your call is returned. Please ensure that wildlife are safely secured in lined box or carrier and are kept in a warm, dark location until you receive transport instructions. Please do not provide food or water. The VBSPCA is grateful for the partnership with Bay Beach Veterinary Hospital, who have donated their time and resources to assist us in the care and emergency treatment of local wildlife outside of the Virginia Beach SPCA’s normal operating hours. If you have found wildlife in need of medical care, please do not take any animal to Bay Beach without calling our Referral Line first. We have an extremely dedicated group of volunteers who make this program possible. Our transporters ensure that wildlife received at the shelter reach the appropriate rehabilitators for continuing care. Our Referral Line volunteers assist thousands of callers each year, providing valuable advise or directing them to local wildlife rehabilitators. Our volunteer wildlife rehabilitators are located throughout Hampton Roads, and they provide care to wildlife until they are ready to be released back into their natural habitat. If you are interested in becoming a wildlife volunteer, we offer complete training, a new comprehensive private volunteer database, and an exceptional group of fellow volunteers willing to assist new volunteers at anytime. For more information on how to volunteer, click here. We strongly advocate coexistence with wildlife and work to educate and assist the community in understanding the nature of wildlife conflicts so that humane solutions can be utilized. The majority of wildlife conflicts can be resolved, and we strongly discourage trapping and relocation. Studies have shown that both methods are ineffective in addressing problems on a long-term basis, and may even result in higher wildlife populations.